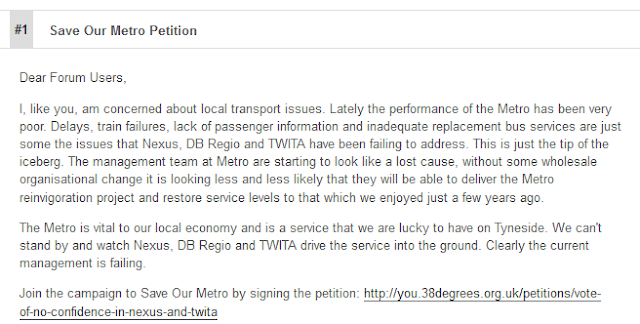 A petition is circulating which criticises the way the Tyne & Wear Metro is being run. 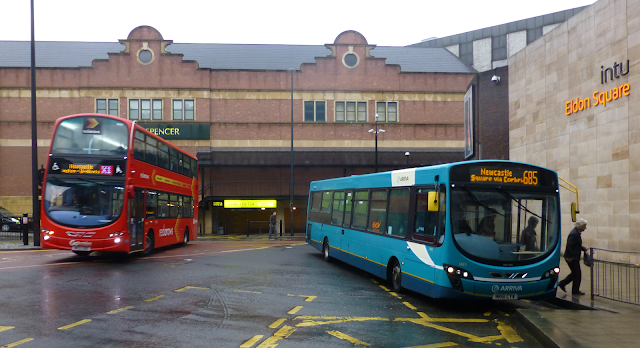 Remember, the people running the Metro are the people who say they can make a better job of running the buses in Tyne & Wear. 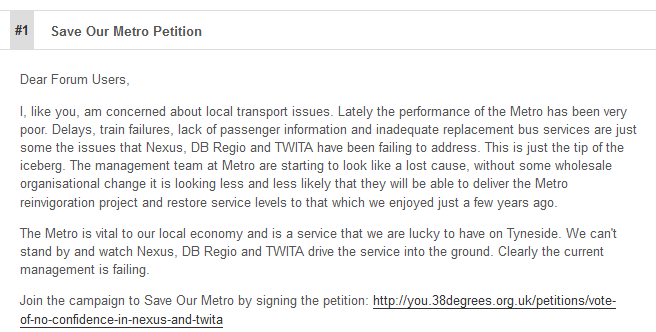 So, based on experiences with the Metro it's not looking good for bus passengers. We now hear that Tyne & Wear ITA and Nexus have been exposed by answers they have given through freedom of information requests by Stagecoach. They have mislead the public in a number of ways and have been accused of wasting thousands of pounds of public money on a series of misleading adverts. They have spent more than £1m on pursuing its plans to introduce Quality Contracts, with hundreds of thousands of pounds being spent on employing private consultancy firms to help present their misguided case. Services like these from Carlisle and Co Durham would all be controlled by the Quality Contract if it imposed. The argument if pursued will end up in the High Court, maybe with the extra charge of Nexus and the ITA being accused of all kind of indiscretions, as we are now starting to hear about.